which was reaaaallllyy slow. (yeah i've other things to do beside this). I was currently doing my costume for my next cosplay project. this cotume, coz this costume is from my fave anime! Aria. Okay, so let's see, but i just took lil picture. messy pattern, aww, i just took it today. and fabric for furring. (it's white cotton). my sewing machine, i loovvee her! when making Aria symbol, last monday. left side with zipper. well, i bought the zipper yesterday. dress, so the chest look tidy. Thanks for all your support gurlss, im so happy! Oilum, a collagen body wash which im so in love with it! makes skin moist and soft. contain olive oil and coconut too. Veet, new shaving cream in my country. An Acne lotion from Sari Ayu, works well. feel so fresh after using it. Pixy Liquid eyeliner, which is so CHEAP and nice applicator. and find this eyeliner!wow im so impressed with it It's waterproof! That's all. 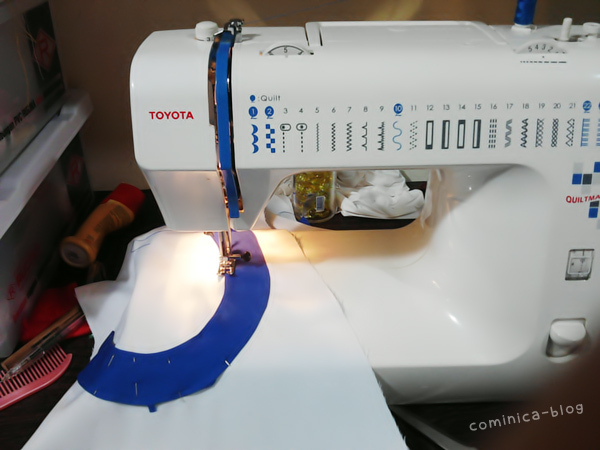 Im going to continue sewing again! Thanks for reading and for sweet comment! Wow - You are so talented! pixy eliner! kata nya tuh awett bnr y?? uda cantik, pinter masak, pinter jahit, bisa rancang baju sndiri pula..